Jewelry retail industry is suffering and retail sales are slowing globally. Many jewelry retailers are no longer attracting enough traffic and before this year is out, there is every reason to believe that many more stores will be gone. In fact, no day goes by without hearing an announcement of an independent jeweler closing his doors. 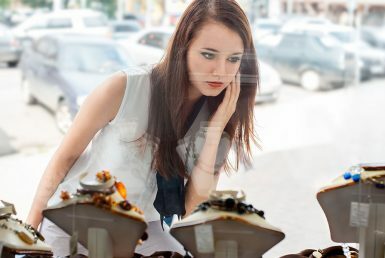 Burying your head in the sand and wait better days is not an option and jewelry retailers are going to have to change if they expect to stay in business. The good news is that retailers will be able to compete with other luxury items and attract millennials in the future, but they are going to be different than what you might see today. Because the world changes, jewelry stores are going to have to be “repurposed”. The way we shop and buy jewelry has undergone a fundamental revolution, with consumers armed with more knowledge, freedom, power and choice than they have ever had. As consumer expectations have changed, the physical retail experience needs to change too. Over the next decade, jewelry stores will face more changes than they have experienced in the past half century as they race to meet customer expectations. What will the jewelry store of the future look like? Social and inspiring experiences are at the core of the jewelry store of the future. Consumers want a jewelry store that goes beyond product sales and creates a social and inspiring experience. Consumers don’t want just selection of wedding rings, collections and customized offerings. Jewelry stores are not just about consumption anymore, they are platforms for connection, participation, exchange and jewelry store owners are going to have to understand that. Jewelry stores are going to have to be far more engaging and interactive. Where to start the transformation process? Start by hosting pop-up events in your store. Pop-ups are one of the easiest way to create a feeling of uniqueness and exclusivity to the shopping experience by creating an ephemeral exclusive jewelry offering. Too simple? 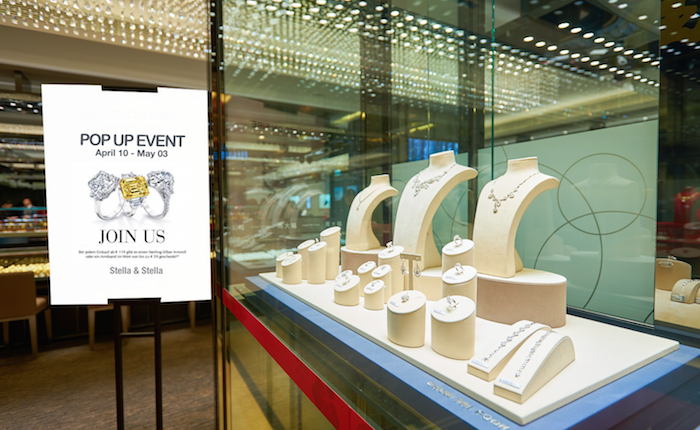 Let’s take a look at the 7 reasons why pop-up events are shaping the future of the jewelry retail industry. 1. How to attract millennials? Millennials are tacking over the luxury market and reaching them is critical for your business. If you are not able to capture millennials spending, one day you will disappear. We have seen a lot of articles talking about the millennial generation and jewelry, but no one mentioned that pop-ups are one of the easiest way to attract millennials. The pop-up concept is mainly targeting the youth market, which likes the spontaneous nature of what is often regarded as a jewelry retail “event” or “come-and-go party”: The age group between 25-34 made the most expenditure followed by the age group of 18-24. Their adventurous lifestyle likes to bring them to new places, new stores. As a matter of fact, they are more keen on shopping in brick-and-mortar-stores than compared to other target groups. Ask the average baby-boomer what a pop-up store is, and he or she probably wouldn’t know. Millennials, jewelry and pop-up event is a winning combination. 2. How to connect with millennials? The Pop-Up model works extremely well with social media, allowing businesses to connect instantly with millennials and interact with them in real time; adding to the ‘cool factor’ of this model. Remember, Millennials love their smart phones. The idea behind pop-ups is likely a move from the traditional model to better connect with millennials with content that does that not feel like intrusive marketing and that values experiences over products. If you want to connect with millennials, share your pop-up event through Facebook, twitter, LinkedIn, Instagram and the latest digital spheres and Apps. Jewelry stores are relevant in our technology-enabled age, only if bricks-and-mortar retailers make a digital connection with their customers. With the right hashtags and some great announcements, your pop-up will draw customers into your jewelry store. Result guarantee. A pop-up help jewelry stores to generate buzz and awareness. It’s the nature of the beast: the fact that pop-ups are here today and gone tomorrow means that there’s a short window of opportunity for people to talk about what you’re doing. In this sense, think pop-ups as a new way to tell your story and one opportunity to connect with an entire pool of journalists, bloggers, influencers, customers, and admirers that you never would have cross paths with. If your priority is to create buzz and awareness, pop-up is a fantastic topic. Medias love to write about this kind of thing. 4. Boost your low season sales. Put together, jewelers make nearly half of the year’s turnover during a period representing a third of the year: traditionally in February, May, November and December with events such as Valentine’s day, Mother’s Day, Christmas or Deepavali in India. Pop-ups are a smart way to stay busy and keep your brick-and-mortar growing during the low season sales, while creating an exciting experience. Pop-ups must be seen as a traffic builder which drives the overall sales volume of the store during low season. One pop-up every month or two during the low season sales can make all the difference. 5. Optimize your selling space. Most of the jewelry store have sleeping showcases. Because jewelry is expensive inventory that moves slowly even in better economic times, many store owners are laden with debt and cannot optimize their inventory as quickly as they might wish. Pop-ups represent an opportunity to rethink its merchandising in a more discipline and systematic approach and introduce quickly new designs and brand names without the risk of buying anything upfront. The pop-up concept is based on consignment. In fact, every jewelry store should have minimum one pop-up space to test the potential and ability of new brands or collections to generate sales before engaging a long-term collaboration. It’s just a matter of common sense. 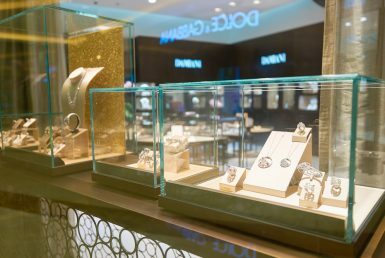 Pop-up showcase should become a standard for each jewelry store and a systematic approach to how new designers or brands are selected and displayed in the store. The pop-up concept may have started as a response to sleeping showcases, but it has evolved into a legitimate strategy to optimize the space, revenue and minimize risks. A pop-up showcase is not free, brand or jewelry designers have to rent it, and it is the responsibility of the store owner to price its showcase at fair market value. The store owner becomes a “mall landlord” who rent out its sleeping spaces to temporary “tenants”. $200, $1,000, $5,000 per week… Basically, the value of a showcase is determined by taking the average gross profit of the space during the renting period. In other words, if you make in average $1,500 gross profit per week with a showcase, you have your base of calculation. With Pop Up Showcase, the good news is, regardless of the valuation method employed or how the value is determined, you will make money whatever the sales result. As a concept, many industry experts say pop-up showcase is here to stay, because it strikes both business owners and customers as a cure for the sense of retail ennui that has permeated the jewelry industry. For us, it’s because pop-up concept has proved to be a win-win for both store owners and jewelry brands. For store owners, there is no doubt that pop-ups are shaping the future of the jewelry retail scene. For jewelry brands and designers, pop-up is the fastest and cheapest way to build business relationship, test new locations, reshape the offline presence, create pop-up tours or quickly get an international presence. It’s the guarantee to connect with retailers open to new opportunities. 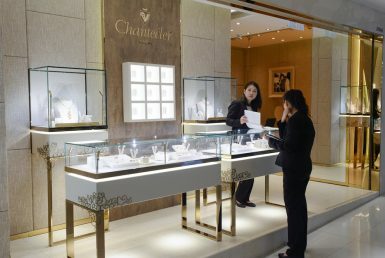 In fact, it’s the guarantee to deal with smart jewelers who understood that consumer expectations have changed and the retail experience needs to change too. 8. Every Jewelry Store Should Have a Pop Up Showcase. Today, millennials rate the jewelry shopping experience as “average”. For the Y generation, the jewelry merchandise seems always to be the same and too similar from store to store. In one word, traditional jewelry stores are boring. In response, the jewelry retail industry is slowly adopting the fast-fashion model, with the roll-out of brands cross-border having already begun with players such as Tiffany and Cartier at the high end and Pandora in the mass market. Pop-up showcase is part of this fundamental revolution. Every Jewelry Store Should Have a Pop Up Showcase? According of the result of the first study dedicated to jewelry and watch pop-up stores conducted in May 2017, 78% of the retailers and brands interviewed said that pop-up are shaping the future of the retail store and 27% plan to organize or participate a pop-up in the next 12 months.